Paris city on a budget - INSIDR top tips to save money on a Paris trip! Looking for more ideas on how to spend your days in Paris? You must download our Free 4-Day Paris Itinerary! Travelling to Paris, doesn’t necessarily have to burn a hole in the pocket. In this article, we help you navigate the city in the least inexpensive manner! From budget stays to free activities in Paris – here’s how to travel Paris on a budget. There are a lot of options for a cheap and affordable place to stay in Paris. The city is well connected by public transport so you don’t always have to choose to stay in the city centre! Some of the areas that are more affordable than others are : Belleville, Strasbourg St-Denis, Buttes Chaumont, Place Monge and the North of Montmartre. 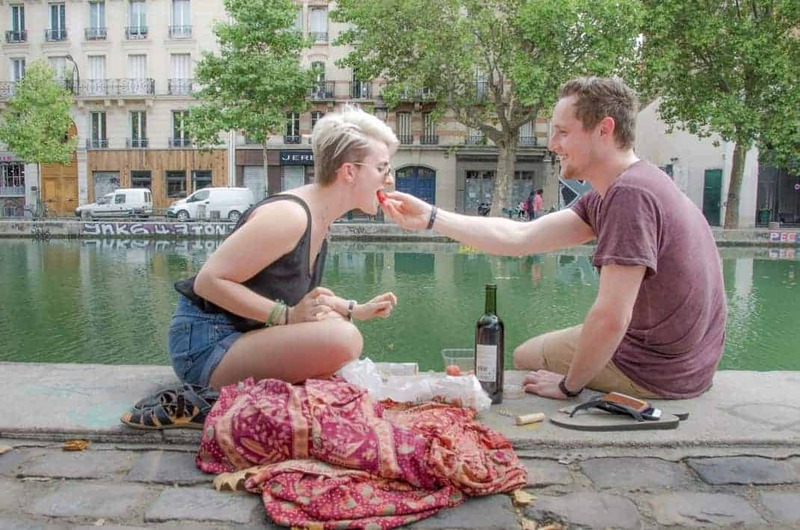 These are also places where you’ll be mingling a lot with the locals and get to experience the real Parisian city life! We wrote another article that details all the different areas to stay in the city, you can find it here. 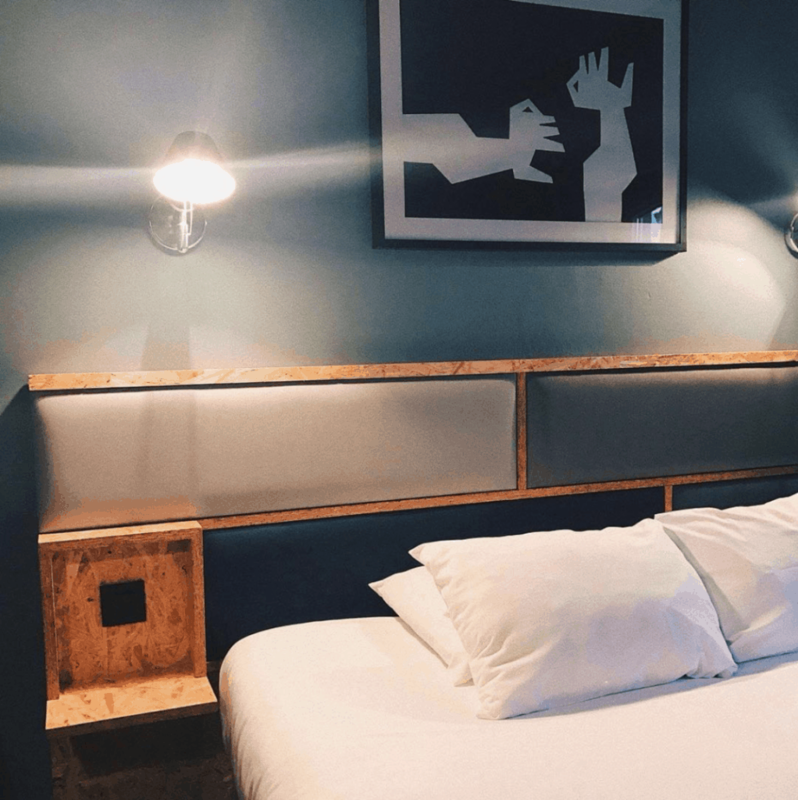 Here are some great, affordable hotel options when travelling Paris on a budget. A very cheap and comfortable option is Hotel Basss (http://en.hotel-basss.com/rooms) in Montmartre is a great and super affordable option in the Montmartre area. The rooms start at 48€ per night at this very cozy boutique hotel. If you’re on a total budget, try Les Piaules – a friendly youth hostel with all the basic amenities including comfy beds and high speed WIFI. They’ve even got a rooftop terrace and bar located inside the hostel. The hostel is in Belleville area, one of the most hip and happening neighborhoods of Paris. Another option for a last minute booking is Hotel Tonight, but again it’s risky if you don’t book in advance as you might not have anywhere to stay at all. There are lots of free activities in Paris to enjoy, including a number of museums and sites that are free to visit. In fact, on the first Sunday of every month all the main attractions in the city are free. The list of places that are free in Paris includes: musée de l’Orangerie, le musée des Arts-et-Métiers, le Centre Pompidou, le musée Picasso, le musée du Moyen-Âge – Thermes de Cluny, le musée Eugène Delacroix, le musée Gustave Moreau, le musée Rodin, le musée d’Orsay. There are also some museums and sites that are free in Paris all year round!! Here is the list: Musée national de la Légion d’honneur et des ordres de chevalerie, Musée – Librairie du Compagnonnage, Musée Curie (Institut du radium), Nouveau musée du parfum Fragonard, Musée de la Préfecture de Police, Arènes de Lutèce, Atelier Brancusi- Musée national d’art moderne – Centre Pompidou, Le Plateau – Centre d’art contemporain, Musée Zadkine, Mémorial de la Shoah, Musée d’Ennery, Musée national de l’Air et de l’Espace. If you’re visiting Paris on a budget, there are a lot of free parks that you can visit as well. Paris is the greenest capital in all of Europe and all parks in the city are absolutely free of cost including including Buttes-Chaumont, the Tuileries Gardens and the Luxembourg gardens. A great way to explore Paris on a budget is to go on a free walking tours. They take place all over Paris and are designed as small intimate tours for travellers to Paris, and are offered in many languages. Although tips are greatly appreciated they are in themselves completely free, our favourite is City Free Tour. A great free activity in Paris is to hop on to some public transport buses that have the most scenic routes. A superb way to see the city without spending too much! Route 72 follows the length of the Seine from Hôtel de Ville past the Louvre and giving you lots of sights such as the Eiffel Tower. Route 29 passes from Gare St-Lazare, past the Opéra Garnier, through all of the Marais, onto Place des Vosges and ending at Bastille. Route 69 bus at Champ de Mars – by the Eiffel Tower rides through the Latin Quarter across to the Louvre and ends at Bastille. Read our article about budget eats and cheap bars in Paris. Paris Architecture : 10 best architectural gems to marvel at in Paris!